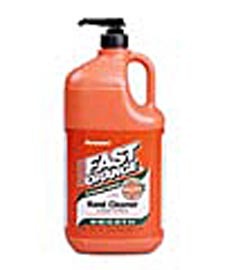 Fast Orange Pumice Pump Hand Cleaner in a 1 Gallon plastic bottle is the leading industrial brand hand cleaner. 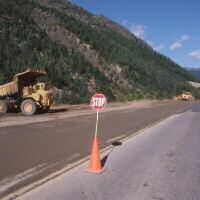 Is is formulated from a fine pumice formula that deep cleans gently, removing the toughest dirt and grease, resins, oil, tar, grime, soil, printer's ink, epoxies, paint, rubber cement and gastket and tile cements. Yet, this industrial strength hand cleaner, has a fresh natural citrus smells that also conditions and protects skin with its other ingredients--aloe, lanolin, glycerin and jojoba. Other characteristics: waterless, petroleum solvent-free, no harsh chemicals, mineral oils or ammonia eliminating stinging on cuts and abrasions. Biodegradable.